Cooking demonstrations by renowned chefs! MC Kelly Eastwood! Oyster shucking competition, with MC John Susman! Enjoy oysters in so many scrumptious ways! 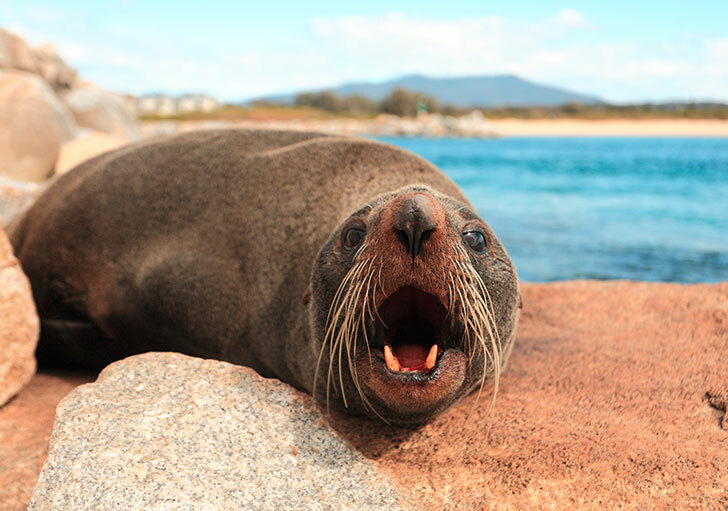 Oyster Tours run all day on the hour – go up Wagonga Inlet in an oyster punt! Each year our chefs are like a who’s who of fine food and seafood – many of them hatted, celebrities and specialists in their field. Expect high calibre of chefs. Previous chefs have included Corey Costelloe (executive chef, Rockpool), Stephen Hodges, Nick Gardner, Maggie Bier, Julie Goodwin and many more. Running from morning to later in the afternoon, the cooking demonstrations are highly popular. Watch the action close up as highly skilled, award winning chefs prepare seafood and local produce in innovate ways. Then have a taste! 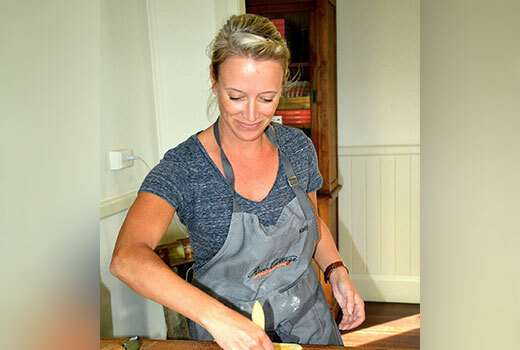 Kelly Eastwood is renowned locally for Eastwoods Deli & Cooking School in Bermagui. Kelly is a former Food Producer, Home Economist and Food Stylist of many cooking shows including River Cottage Australia, Family Food Fight, Masterchef and Better Homes and Gardens to name a few. Mark Olive, aka ‘The Black Olive’, has been a chef for over 40 years and has become a well known Australian celebrity with his charismatic style and creative approach to food, starring in his own television series ‘The Outback Cafe’ and a host of cooking, lifestyle and travel shows nationally and globally. 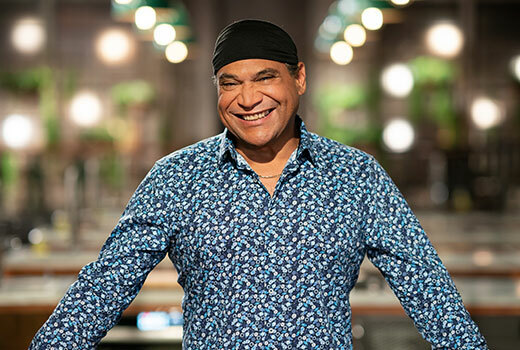 Mark’s passion for fusing native food and culture with contemporary lifestyle cooking has led to a huge international profile specialising in gourmet Australian Indigenous cuisine. He is currently seen on SBS “A Chef’s Line” , “On Country Kitchen”, “Good Cooks” and numerous guest roles around the world. Pete Hilcke is a renowned Australian Seafood Chef, Author and TV Personality based in Melbourne, Australia. Pete was trained in the Royal Australian Navy before running one of Australia’s premier members only club kitchens at the RACV City Club. 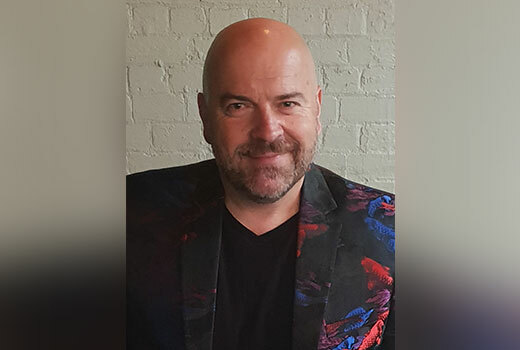 Since his Australian TV debut on The Australian Seafood Show, Pete continues his role as The Sustainable Seafood Chef, presenting a number of show across Foxtel and radio, most recently Food To Eat on Footprint TV (USA). Half man, half fish. 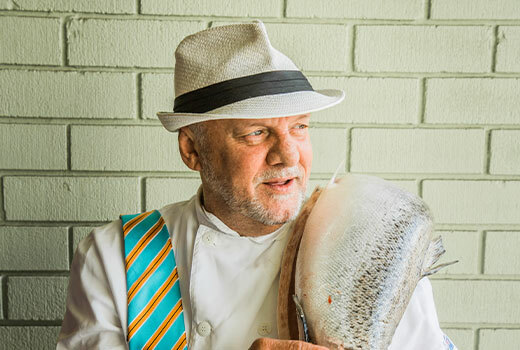 Stephen Hodges is recognised as one of the greats of the Sydney culinary community, having for 13 years cooked at Rose Bay’s Pier at its best, and after that at his own Fish Face at Darlinghurst, a restaurant beloved of seafood connoisseurs. Stephen’s award winning Australian Fish & Seafood Cookbook released in 2016, has become the definitive ‘bible’ of Australian Seafood. Stephen is currently concentrating on mentoring other chefs, encouraging consumers to cook and eat more seafood, and following his passion for curing and smoking fish. 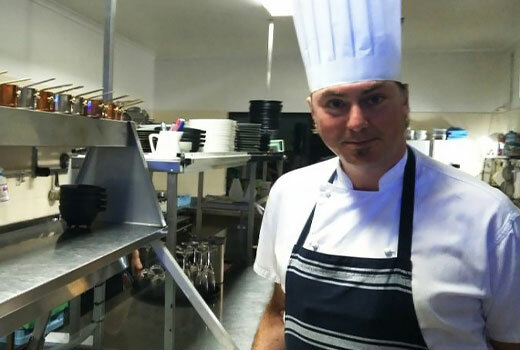 After a career which includes working with 3 Michelin star Chef Pierre Gagnaire, David opened his first restaurant, The Sandbar at Batemans Bay. David’s tasting menu draws on the finest available produce from the South Coast, employing French techniques and Japanese inspiration. David received his first hat in January 2018. 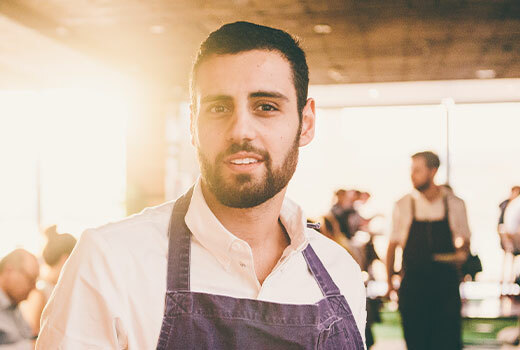 Paul Farag started cooking at the age of 15. He began working under celebrated chef, Colin fassnidge, age 19, at the Four in Hand, who pushed him to travel to gain more experience and ended up at Petrus in the United Kingdom. When returning back Australia he resumed working back with Colin, this time as his head chef. After a few years Paul was ready for a new challenge and he decided to join the Bentley group with Brent savage. Working within the group in various roles until finding a permanent home in monopole, where he stayed for a few more years as the head chef. Paul now faces a new set of challenges as he joined the Fish Butchery team as the head butcher. The Fish Butchery main focus is to change the way we perceive seafood by Handling and cutting it in a different manner. Staged in an intimate setting in groups of 15, you’ll experience an exclusive master class. Enjoy Angasi, Pacific and Sydney Rock Oysters – our favourite! Compare flavours and enjoy oysters with complimenting wines. * this does not include festival entry. Last year we had a crack at the Guinness Book of records with what we thought was the World’s Biggest Oyster. Turns out the way we measure big is different to theirs. This year we’re going our own way launching Australia’s Biggest Oyster. Will it be Bernie Connell’s Oyster named Jack? Who knows but if you have a big oyster and want to enter, we welcome you. If not, come along to the Narooma Oyster Festival and see for yourself – big, big oysters and larger than life oyster farmers vying for the title of Australia’s Biggest Oyster. Enjoy live music and entertainment all day. Experience our famous indigenous dance group, the Djaadjawan dancers perform traditional dances. See local indigenous culture as it relates to seafood, cooking and basketweaving. We have 6 live music acts during Saturday, playing up to 6pm, heating up to the high energy, raucous blues act from previous years – 19 Twenty.